Sign in or Sign up, its Free ! 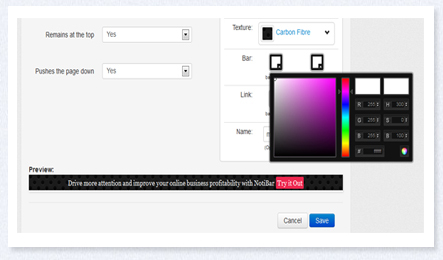 Custom Look & feel Customize the appearance of the notification bar changing the colors, fonts and texture. 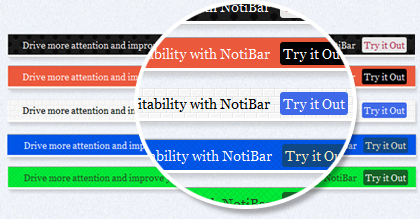 Statistics Analyze clicks , views and conversion rate with your notibar panel. 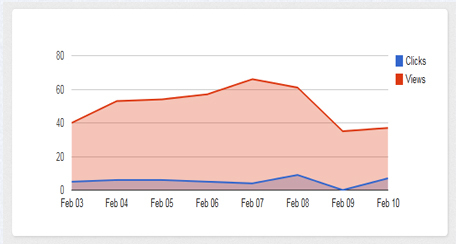 Bitly & Google Analytics Fully integrated with bitly and Google Analytics. Keep the statistics on your own account. 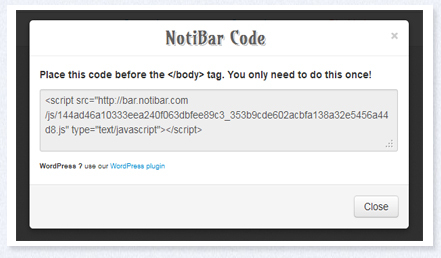 Thats all , Relax and see the results on the Notibar panel or your own Google Analytics dashboard.